This August massive rain caused floods across Northern India, Bangladesh and Nepal. Over thousand people lost their lives, many more their homes. Aid agencies say that this is becoming one of the worst humanitarian disasters in Asia in recent times. Concerns are rising about disease and shortages of food not least because the flooding is expected to continue for some time. 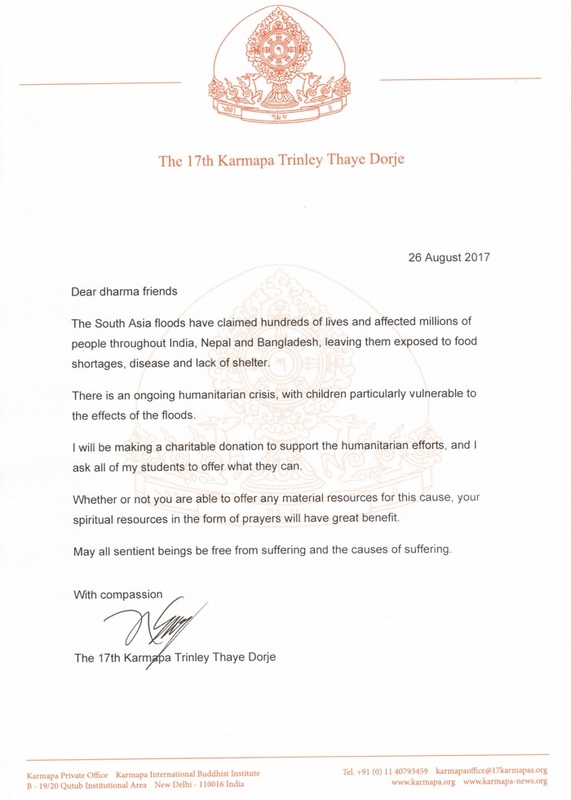 Thaye Dorje, His Holiness the 17th Gyalwa Karmapa shared a compassionate message to the victims of the disaster and offered charitable donation to support the humanitarian efforts. 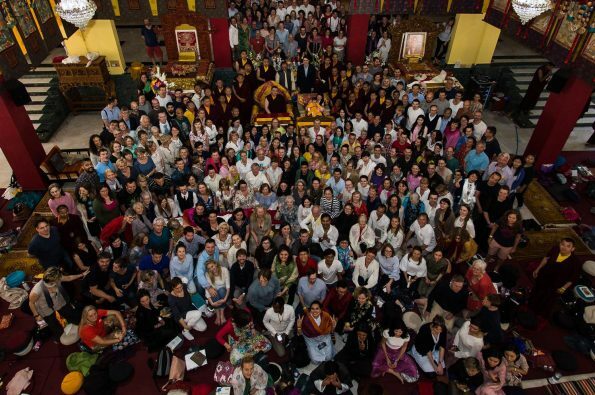 Gyalwa Karmapa calls on his students to offer what they can, materially or in the form of prayers.